Love the rustic-neutral yet classic look of this Deco table and we bought chair set from! Atlantic Furniture as well. Not that hard to build and well made. It’s exactly as pictures and beautifully textured. I think it's striking looking and a great size for my small dining area. It's also sturdy and it wasn't too difficult for my husband to put together. Very satisfied with my first purchase from Atlantic Furniture. I am using this Deco series table in my dining room. Assembly was super easy. 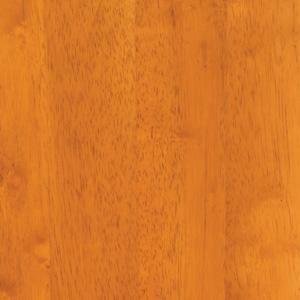 Atlantic Furniture table quality is top notch and the price was awesome. Very classy and modern looking. This table gives the wow factor. I would describe it as a rustic look. We were even more excited when it was delivered. It arrived shortly after we purchased it and was easy to put together. Love this Deco Collection table from Atlantic Furniture. It's the perfect size for my eat-in kitchen. It's very sturdy and beautifully constructed and finished. My wide upholstered chairs fit under it with plenty of room. Looks a very classic table. - quality wood - Took about 20 minus to set up. As usual, am very impressed with the quality of Deco Collection and how nice it looks. Atlantic Furniture always make us happy with their product. It totally completes the look we are going for. Love that it has the two extensions for large dinner parties. Can't wait to host some dinners. It looks sturdy, excellent size for our space plus super inexpensive for good quality! Way beyond my expectations. And overall a nice table. . So, for so good had the table for almost a week. 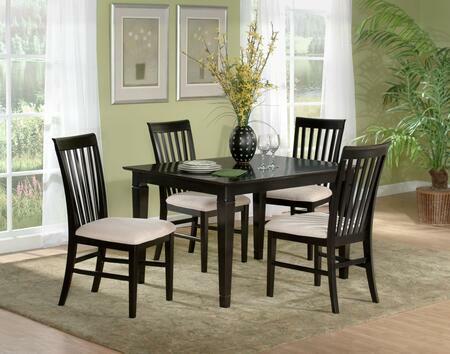 Good value Perfect for casual dining to put in a "formal" dining room. Great quality furniture. I absolutely love the Deco series table, it fits perfectly in my small dining area. Can't believe it was so inexpensive. This is my first purchase from Atlantic Furniture and I am quite happy with the experience.